Ted Mahsun: Spiegel Interview with Haruki Murakami. 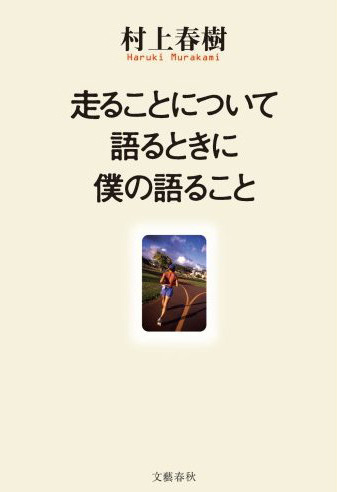 I look on envy at those Germans because they are lucky enough to have Haruki Murakami's latest book, What I Talk About When I Talk About Running, (which I previously blogged about here) which is to be published next week in that country. Meanwhile us in the English speaking world will have to wait until the end of July. Murakami: Writing is fun -- at least mostly. I write for four hours every day. After that I go running. As a rule, 10 kilometers (6.2 miles). That's easy to manage. But running 42.195 kilometers (26 miles) all at once is tough; however it's a toughness I seek out. It is an inevitable torment which I deliberately take upon myself. For me that is the most important aspect of running a marathon. Murakami: Putting the final full stop at the end of a story is like giving birth to a child, an incomparable moment. A fortunate author can write maybe twelve novels in his lifetime. I don't know how many good books I still have in me; I hope there are another four or five. When I am running I don't feel that kind of limit. I publish a thick novel every four years, but I run a 10-kilometer race, a half-marathon and a marathon every year. I have run 27 marathon races so far, the last was in January, and numbers 28, 29 and 30 will follow quite naturally. Personally, I hope he has more than just four or five novels left in him. Read the rest of the interview to find out about his "unofficial" marathon in Greece, his best running time so far, and what running has to do with his writing.